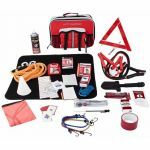 The auto emergency kits contains survival items as well as useful tools and equipment. 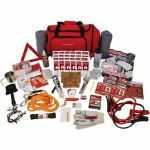 Keep one of these in your vehicle's trunk or other storage area. If you have a break down or an accident and your vehicle is inoperable, you'll be able to stay alive and help yourself get out of the mess you're in.